As part of Mental Health Awareness Week, Catherine Levin highlights the often traumatic impact of the duties carried out by firefighters. At last year’s FIRE summit on reimagining the emergency services, AC Sarah Warnes berated us for using heroic imagery to illustrate the magazine. This was part of a wider discussion about improving diversity in the fire and rescue service and getting the balance right between all the activities carried out by a modern firefighter. Those are the words of Chris Lowther, newly installed Chief of Tyne and Wear. He and many others posted simple but powerful messages on Twitter about mental health to encourage others to talk about it as part of Mental Health Awareness Week. I was shocked at the candour and openness of some. I can’t quite decide why I’m shocked: perhaps I think all firefighters are hardened to the traumatic part of their jobs and not affected by its impact. Maybe its because I have often heard gruesome stories told with black humour by 30-year veterans and not even thought about how this exposure affects them. I thought they quite enjoyed sharing the stories and got a bit of kick out of my reaction. But then I re-read Rob Norman’s article. Funny, bursting with life and energy, Rob is an officer of West Midlands Fire Service and has spent the last ten years working within Urban Search and Rescue. His article appeared as part of a series on the Public Leaders Network for the Guardian in January 2016. ‘I see dead people. 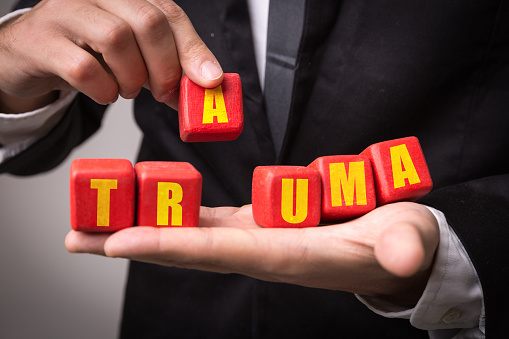 It’s normal and more people should talk about it’ sets out how he had been affected by the trauma of his job and how he developed his own coping mechanisms. He came to accept how his mind deals with processing the sights he sees in the course of his duties. Since then, lots of people have contacted Rob and told him that it gave them the courage to seek help. For some it has led to them accessing professional mental health services but for others it has been liberating knowing that it’s OK to talk to colleagues without fear of being stigmatised. In November 2016, former Chancellor, George Osborne announced that the Mind Blue Light charity would receive £1.5 million Libor funding to help them achieve their vision of “support and respect for the mental health of everyone within the emergency services”. This funding is helping the charity to continue its work across the emergency services recruiting more blue light champions, training more managers on managing mental health, on improving resilience and running a blue light information line. Their funding is only certain until March 2018 and Mind is quite open about trying to make this work core business, but without extra funding it is going to be tricky. “If you suffer from mental health problems, there’s not enough help to hand,” said Theresa May in her first speech as Prime Minister. Maybe she should tell her new Chancellor to take a closer look at the Libor cash and make sure that the emergency services get their fair share to continue this important work post April 2018.